a 1% increase to base pay for all ranks. a 1% increase to the London Weighting payment. a 1% increase to the Dog Handlers’ Allowance. This applies to all police officers in England and Wales. Police officers play a vital role in this country, fighting crime and keeping us safe, so it is right they are rewarded. The PRRB and the SSRB brought forward affordable proposals while balancing the need to recruit and retain the very best officers. I am grateful for their work and pleased that we are able to accept their main recommendations. 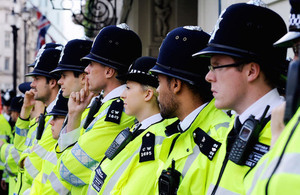 The increase is in line with the government’s policy that public sector pay awards, including the police, should average up to one per cent in 2015-16.